I recently bought a bike online for use in college and after trying to get on the bike, and I think it's too big. The problem is that I'm pretty small. Like 4'11", 27" inseam small. Little legs, yes. I tried to find a bike with a smaller frame (that wasn't a kid's bike), so I went with a 43 cm single speed/fixie from Critical Cycles. The recommended height range was 4'9-5'2, and I figured that everything seems to be fine when I ride it, with the handlebars and seat on the lowest setting, but I can't stand over my bike. There's no clearance between my crotch and the top tube and judging from how I feel about it and what a lot of people on the internet say, this isn't good. Recommended clearance is at least an inch right? It's a little bit of a hassle to get on and off the bike, but like I said, it's OK once I'm actually on. My biggest concern is the potentially frequent stops that I might have to make along the bike paths at my college, in the event that I might not be able to properly stop and get off the bike, which is dangerous since there's a lot of bike traffic at my school. 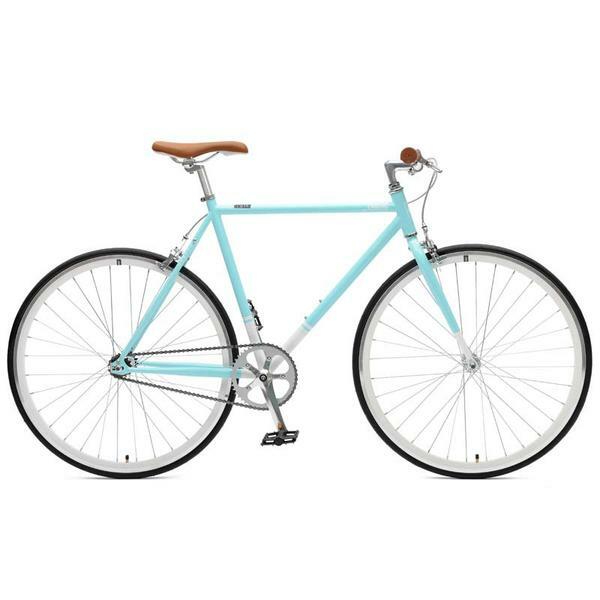 I'm pretty new to biking, and realize that I might've bought the wrong kind of bike or size, but it's a little hard for someone of my size to find a bike for someone so short like me, but I also don't have that big of a budget (typical broke college student). Is there anything I can do to make this bike work? If there isn't, I suppose I might be able to buy another bike more suited to fit me, although I'm a bit stubborn and don't really want to. However, I really need some suggestions (preferably on the more affordable side), so...please help? If you cannot comfortably straddle the bike with your feet on the ground it is too big. The bike you have appears to have a nearly horizontal toptube. As others have said try to return it or at least exchange it for a model that feels comfortable. A model with a slightly sloped top tube may give you a better fit. Don't make your decision based on the stated frame size. Test ride the bike (or several) before making your final choice. Not the answer you're looking for? Browse other questions tagged frames bike-fit frugal bike-selection or ask your own question. Should/can I return a new bike that seems too big? How to choose the right size bike?